NEPAL. 2004. 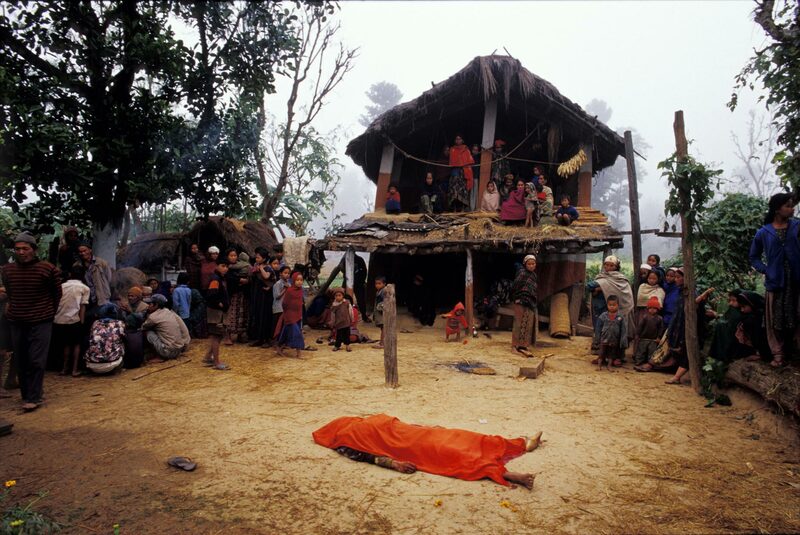 In the Maoist-run village of Babiachaur rural life is short and violent. With ever-increasing population density, soil erosion and less and less resources to go around, violence often erupts among villagers. Here, a young 23-year old man was stabbed to death by his neighbor after fighting about the rights to a tiny trickle of water to irrigate their adjacent potato-fields. Such economic desperation is what enables the Maoist insurgency to flourish across all of rural Nepal.